Nigerian students studying abroad have been reported to be making their motherland proud as majority of them keep scoring high grades in school. 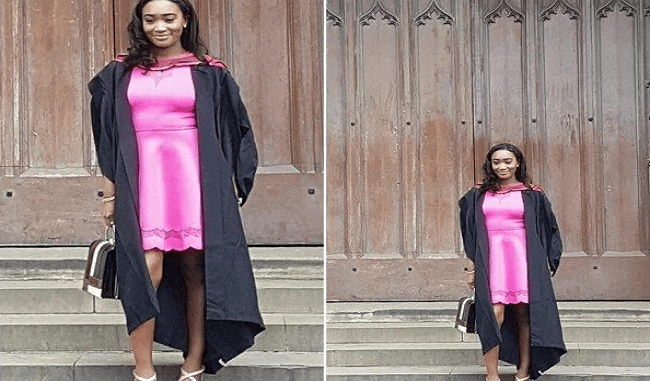 Such was the case of beautiful Oluwatoni Sanni who was said to be the only African on the list of 1st class graduates in Bristol University. Sanni studied Accounting and Finance and graduated in 2017. Due to her extra ordinary brilliance, Sanni has reportedly received MSc offers from all four of London School of Economics and Imperial college of London.